Winter Ranging uniform -- parka, snowshoes and .38 standard issue revolver. 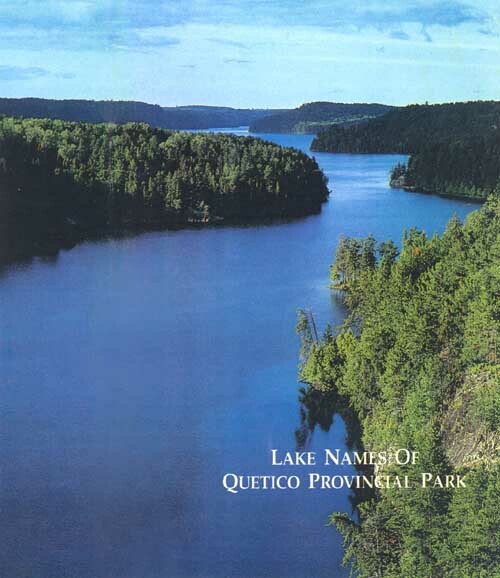 ART LAKE was named after Art Madsen, Quetico Ranger from 1934-1940. 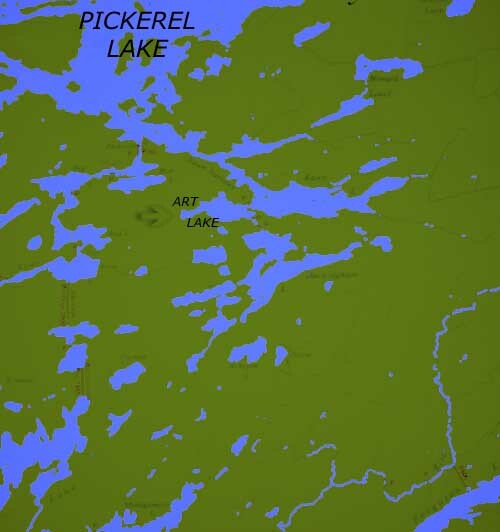 When Art finished working on the logging "gator" on Badwater, Wolseley and Namakan River in the spring of 1931, he, and a friend, Jock Richardson, went up to Saganaga Lake, where they planned to trap and live off the land. It was depression time and a road was being built to Saganaga, and they hoped to earn some money as guides. 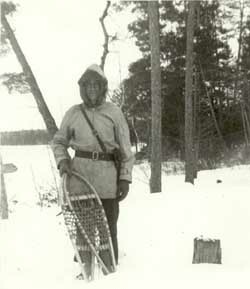 In November 1934, Art was sworn in as a Quetico Park Ranger. His patrol was out of McKenzie Lake from 1935-1938. Many of his experiences are recorded on tapes in Quetico's collections.